I've been told that fall is a great time to cleanse and detox your body. I'm not sure if this is actually true, but apparently the changing of the seasons can encourage detoxification because your body is already going through the transition to a new season. Sounds kind of silly, but at the time I heard it, it made sense and I've remembered it ever since. So, today I'm starting a 21 day cleanse. I'm choosing to do this cleanse for a few reasons, but mainly because lately I haven't been feeling too great. Not feeling good about what I'm eating, about myself and my body, about my living situation in New York, just overall not good. From what I know about diet and the food we put into our body, I know that a lot the issues I'm experiencing, could very well by stemming from what I've been eating. How has my diet changed recently? When I first went gluten-free three years ago, I focused more on whole foods. Granted, I did buy packaged pretzels and crackers from the grocery store, but pretty much everything I ate was good for me. I didn't eat many sweets (maybe a piece of chocolate here and there) and definitely didn't eat any baked goods – including bread. My diet focused on fresh fruits, veggies and whole grains. And I lost over 10 pounds in the process. Then I started to get more comfortable with my gluten-free lifestyle. I started experimenting with baking. Cookies, muffins, breads, cupcakes started to become a regular part in my diet again. I still limited my intake of refined cane sugar, but sugar is sugar and when you're eating baked goods everyday (that are made with honey, maple syrup, and coconut sugar), you've got to expect that you're going to have to work a little hard to keep those pounds off. I didn't do that. Slowly but surely, those pesky pounds started to creep back on. Now, here I am, three years later and almost back at my pre-gluten-free weight (maybe a few pounds lighter). I'm feeling sluggish and overall kind of lousy. I've always been a healthy eater, but I just knew that what I really needed was to push a little reset button and get back to the basics. Which is precisely why I'm starting a cleanse. The cleanse I'm doing is a 21 day program, called the Clean Program, and it consists of a structured meal plan and a very particular include/exclude food list. The whole premise of the cleanse is to not only promote detoxification in the body, but to heal the gut in the process. This is actually the second time I'm doing this cleanse, and I'm really excited to see the results. Last time it was amazing. My day starts with a liquid meal (a smoothie) then a large, healthy lunch (usually some sort of quinoa salad, a protein and greens), then a liquid meal at night (usually a pureed soup or another smoothie/juice). I need to leave a 12 hour window between my last and first meal of the day as this really let's my digestive system rest and do the work it needs to do. I'm trying to buy as much as I can organic, to reduce the amounts of chemicals I'm putting into my body. The exclusion list seems much longer than the inclusion list, but don't let that throw you off. There are so many amazing meals you can make from this list. In fact, many of the recipes on this site are allowed on Clean. Overall, I'm really excited for the next 21 days. I have high hopes and I'll be sharing my progress along the way. 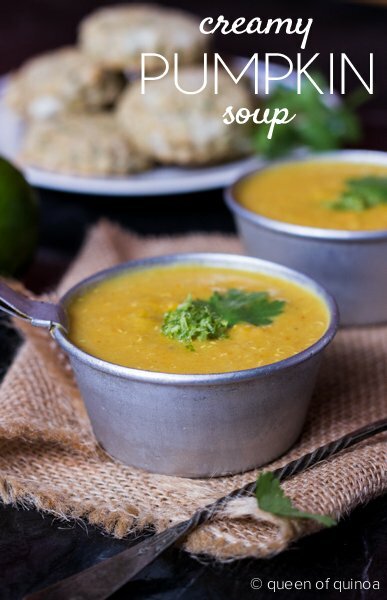 Make sure to check in on Facebook & Instagram for more daily updates, but I'll be sharing new Clean recipes over the next three weeks as well – both for the liquid portion as well as the whole-food meals. I'll also be sharing a before and after picture once the 21 days are up. If any of you are interested in learning more about the Clean Program, you can either purchase the book or purchase the cleanse on the website. I am doing the book version because I like to be able to eat what I want and not have to eat their shakes, but if you're feeling like you would want everything just laid out for you, then the cleanse from the website might be a good choice for you. I just finished the clean program 10 days ago. I’m now realizing I didn’t transition off of it right (I let in my red meat, cheese, bananas, tomatoes and eggs too quickly and all together) and now I’m a little splotchy on my skin and not feeling great. Did you have any sort of similar experience? I hope I didn’t negate all the work I did on the cleanse! I feel like I need to go back to the elimination diet for a day or two and then reintroduce things in again… ahhh. Honestly, I didn’t really experience anything like that. The first time I did Clean, I reintroduced very slowly. The second time, I didn’t follow it nearly as closely and didn’t do a very good job. I’m thinking I need another round. Don’t feel like you ruined anything. I’d suggest just going back on the elimination diet for a few days, letting your body recalibrate and then slowly introduce the “no” foods back into your system, paying close attention to how they make you feel. That should really help with the process, and could potentially reveal some food intolerances that you weren’t aware of. 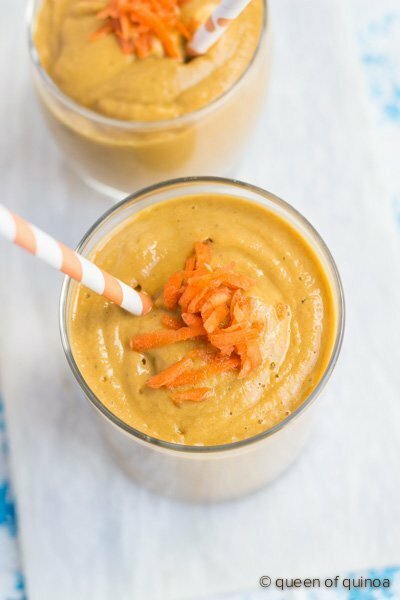 Did I miss the recipe for the carrot cake smoothie? I’m so happy to know you are doing the Clean, my sister, husband and myself did it this past July and since then our health is wonderful. While doing it, that is when I was looking for more quinoa recipes and that is when I found your blog, so go for it, don’t give up, during the process you will start feeling different and great. Enroll in the clean community, you’ll get help any time, they have great coaches….best wishes! I just started a one day juice cleanse because it felt like it needed to happen. Then, I stumbled upon your post and read that this is a great time to detox- apparently my body agrees. Here’s to a stellar 21 days for you Alyssa! I would love to be added to the list. I have been looking for a cleanse or detox that is doable and this sounds great, I have really been feeling blah lately and completely understand how you are feeling…. Good luck to you. Sometimes with a crazy life we need to step back and take control. Me, too. Alyssa-thought I posted earlier but I’m not seeing it. Oh well. I think I’m in a food rut too and most definitely lacking energy. I need to shake things up a bit. Would you add me to the list? Thanks. Good luck with the cleanse! It sounds like a very healthy and doable one. I look forward to following your progress! Alyssa-In a food rut and lacking energy. Your post came at a perfect time. Looking to shake things up in many aspects of my life. Could you add me to the list? Thanks. I think this is great and I am going to follow!!!! I can relate to everything your saying about the blahs. I haven’t been brave enough to try a cleanse mainly due to being a very selective foodie but something’s got to change. Best of luck in your endeavor and I’ll try my best to join you in support of you and to work on giving my body some much needed love and repair. Thanks for getting the ball rolling! I’m not planning to post a daily meal plan here, but I’d be happy to send you a note of what I’m eating on a daily basis. I think there would be a few of folks on this thread that would be interested in seeing my daily food intake. Thanks for the support! Thanks Colleen! It’s really tough to get yourself out of a food rut, and I honestly feel like sometimes it’s the extremes (to me this is kind of extreme) that force your mindset to change. For me, just telling myself that on Monday I’m going to stop eating dessert – it never works. Ever. On Tuesday, I’ll be eating that cookie again! I like regimented plans like this that I can really follow. It helps me stay on track. I’ll keep you updated on my progress for sure. Would you like to join the email list that I’ll be sending out that share my daily meal plan? Hi. I have heard of people doing these cleanse routines but have always been sceptical. Do they really work? I know its probably a stupid question as I thought people were nuts by going gluten free. He is a little piece of my story. I have been gluten free for a few months now and along with that and a very simple workout plan which I do 6 days a week. I have noticed a huge difference a 26 lbs difference. So I just curious if a cleanse will also help. Any suggestions for first timers? First, CONGRATS Rob!! That is amazing! I’m so happy for you 🙂 Isn’t it incredible the different that just making a few tweaks can in our life? Before I recommend starting a cleanse, I would first ask, what is your goal? Is your goal to lose more weight? Is your goal to get more energy? Is your goal to start sleeping better? Is your goal to stop getting stomach aches? I find that understanding what I want to get out of a cleanse helps me decide if it’s the right thing. For me, it’s not about the weight. It is to some extent, but it’s more about my body as a whole and making my whole system get back in touch with itself (if that makes any sense at all!?). So my suggestion to you would be, if you’re really interested in doing the cleanse, buy the book (I purchased the kindle version) and read about it. That will help you see if it’s the right thing for your body. Hope that helps! Would you add me to your meal plan info, please? I bought the book and am making my way through, can’t wait to start!!!!! I need to be inspired. I, too am not feeling great about what I am eating lately and I need to get back on track. I know I am eating way too much salt. I want to hear how you do on this cleanse. Thanks! I hear you….. about changing the way we look at food. I enjoy watching Food TV and on occasion will try a recipe I have seen. My daughter has just said to me it is time to go to the gym. She even offered the monthly fee so that I would take it seriously. Okay hint enough. 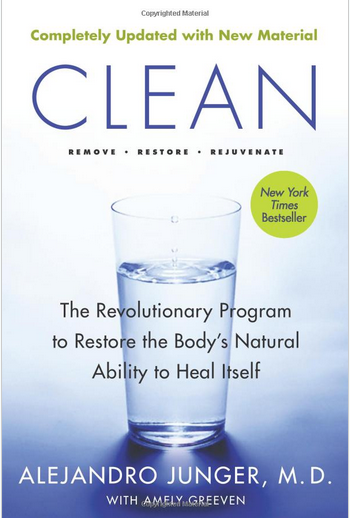 The CLEAN program was also shown on Dr. Oz. I had put in a request for the book at my library…..so yes it is important to look and pay attention to our bodies. You can do it!!! I’m behind you! I can’t follow your plan right now for various reasons but will keep this and future posts regarding your cleanse for future use. Why do you exclude strawberries and soy? Are organic strawberries and non GMO soy “ok”? Thanks for your input. Already gluten free, refined sugar free and eating low fat. Still, I’ve been stepping over the line and need to rein it all back into line. Count me in! Me and my husband did the same program last spring. It is how we became aware of quinoa actually. I found I felt great giving up gluten. It has now sneaked back into our diet here and there…time for another cleanse! Sounds like you’ve made a great decision. Think I just might join in – unofficially, and am looking forward to your progress reports. I’m very interested in receiving updates and ideas. Good luck. Awesome thanks so much. I’m thinking I’ll do this cleanse after my birthday in January once all the holiday foods are old news haha 🙂 Thanks for the tip! I am kind of in the same boat with my eating lately, and am ready for a change. You’re right, the change of seasons does seem like a good time – some “back to school” motivation if nothing else! Good luck with your cleanse! Go get ’em Alyssa! I’ve been going through the same feelings. I’ve embarked on a candida cleanse for the month of October to clear up my digestive discomfort as well as those pesky negative thoughts! So great of you to share your experience. Road Trip from San Francisco to LA + turning 30!